Luxury Real Estate Marketing Essentials: The Luxury of Feeling Good-Luxury or Necessity? Too many of us react to circumstances and use the circumstances to dictate our moods. If the circumstances are pleasing, then we are pleased and feel happy. Conversely if they are not, we feel gloomy, sad or whatever we deem appropriate to the event taking place. The key to feeling good is maintaining that positive attitude regardless of the conditions surrounding us. This concept was poignantly illustrated in the Italian movie, La Vita E’ Bella, which translates as Life is Beautiful. 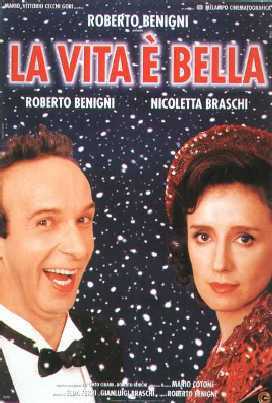 The main character, as played by Roberto Benigni, uses his imagination and sense of humor to help his son survive the horrors of a Nazi concentration camp. In 2006, a Gallup poll revealed that feeling good matters in the workplace and directly impacts productivity and innovation. It also improves customers’ perceptions of the product and the company. Take the luxury of time to make life beautiful. Or, would you rather hang out with the likes of Oscar, the Grouch. Is feeling good a luxury or is it a necessity? You decide!